Cherry Mobile’s initial Flare X model is amongst the best smartphones which the company has ever made. Actually up to now, more than a year following it’s launch, it’s nonetheless a phone that’s being wanted in shops. Currently, Cherry Mobile has unveiled the heir to the Flare X, just referred to as the Flare X2. To say the fact that brand new smartphone has large shoes to fill-in is definitely an exaggeration, however thinking about what the phone offers, we are positive that it could possibly meet the buzz that the original were able to produce. 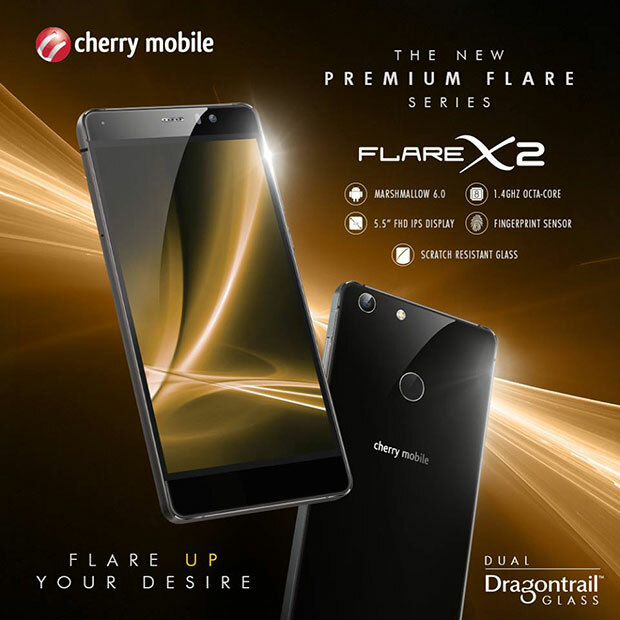 Cherry Mobile Flare X2 comes with a 5.5 inches full High-Definition LCD screen using a Dragontrail Glass that has scratch protection similar to Corning’s Gorilla. It also utilizes Android 6.0 Marshmallow as its operating system, a 1.4 GHz octa core Cortex-A53 CPU by Qualcomm Snapdragon 430. 4GB RAM for smooth multi-tasking while there’s 32 GB of built-in storage that is expandable up to 64GB using an extra MicroSD. For those who love to shoot pictures, the Flare X2 has a 16.0 Megapixels with autofocus, BSI Sensor and LED Flash located at the back of the unit. To cater selfie shots, there’s an 8.0 Megapixels located in the front. For video game enthusiasts, the company integrated an Adreno 505 GPU. It’s official price tag in the Philippines is ₱7,999.00.